The level 5 leadership - leaders that are humble, but driven to do what’s best for the company. The three buckets - disciplined people, disciplined thought and disciplined action. The Hedgehog Concept - the story of the hedgehog and the fox. Bonus - Michael talks about his favorite non-business book that also relates to these concepts. So sit back and listen as Michael presents one of the bestselling management books - Good to Great by Jim Collins. Steve: Hello Awesomers! Today, we have a special episode for you and this is Episode number 46 of the Awesomers.com podcast series. And the great news is I've had my friend and partner Michael Pinkowski come on to join us to record this Book of the Week episode. Now, the book he's going to cover is called Good to Great by Jim Collins and it's a book that I've read a couple times at least and it's a book that I believe in. Even though it's a little bit of an older book, the lessons in there are quite timeless in my opinion. I think Michael does an excellent job of talking that through. You know, Michael is such a very smart presenter and teacher that he really gives a great rundown of this very important book. I do think it is a staple for any person who's serious about business and Jim Collins, his terminology and his concepts have stood the test of time. And things like saying you know should have BHAG right that's a Big, Hairy, Audacious Goal or the Hedgehog Principle, all these things you will find commonly referred to in today's business vernacular and it's all a result of this very important book, so I'm glad you're joining us. The book Good to Great is going to be presented by Michael Pinkowski in this very special episode. Michael: Hello. This is Michael Pinkowski and you are listening to Awesomers.com. This is Episode 46. So you can find show notes at Awesomers.com/46 and we're going to do a Book of the Week episode. Steve asked me to step in and bring one of my favorite books and I've done that. So, here we go. All right. So when Steven invited me to be a guest host and do Book of the Week I said, “Oh, the first one I got to do is Good to Great.” That's the one. This is a book I come back to - I've read three or four times probably, kind of reviewed it again in preparation for this and it's just a classic written by Jim Collins and I can't get enough of it. I come back to it over and over again. I get great lessons out of it. I especially like how he's got these kind of good phrases that are easy to remember that kind of makes them tools that I can grab out of my memory when I'm trying to face a situation or trying to solve a problem. You know, it's nice to have good clear ideas that you can grab and in my experience he's right. I've worked for good companies and I've worked for great companies. There's a difference and I think Jim has captured a lot of those key differences. And as I sit here and try to build a new company, I want it to be a great company and I'm going to try to keep a lot of these lessons in mind as I hope you will, too. So, let's start with a quick word though, true confession time. I haven't read a book in years. I think I've read one this year. I don't think I read any last year, but I listen to audiobooks all the time. I've got an account on Audible and I looked I have 441 books in my audio library. I looked and I saw that the average American commute is 26 and a half minutes if you - I don't know how they measure it, but let's say I had a couple of minutes to get into the car and a couple of minutes to get out of the car and go up the elevator or down the hallway or whatever, that's an hour a day, that's five hours a week that you're commuting that you could spend learning something, so podcasts obviously great way to go, but if you run out of those or if you want to fill in with some other stuff audiobooks are an outstanding way to go. That's the way I've listened to Good to Great all three times. And then you know I -just as a personal note, I do it when I'm folding laundry, washing dishes, mowing the lawn, going for a walk. I am quick to put my earbuds in and pick up on the book that I'm listening to and I listen to more than business books, too. My son has just finished up his summer reading. We had to do 1984 and that's got great lessons in it. It's a classic. There's a bunch of books that I've listened to. I hope to come back in future episodes. I hope Steve lets me come back and talk about some other books that were - that I've listened to. There's a bonus at the end of this podcast where I'm going to talk about one of my favorite books, non-business that you might want to learn about. All right. We're going to take a quick break and go to sponsors and then we'll come back and start getting into the basics of Good to Great. You're listening to the Awesomers.com podcast. Michael: All right. This is Michael Pinkowski. We are on the Awesomers.com podcast number 46 and we're talking about Good to Great on a Book of the Week segment for you. Steve - as you've listened to Awesomers you've heard origin stories and I thought it might be good to kind of get to the origin of Good to Great as a book. You know, all these things have a start and it's good to know what that start is. In this case, Jim Collins had previously written a book called Built to Last and Built to Last was the story of companies that just were sort of you know made the right way and by being formed the right way they were able to last a long time and run really well. But he was at a party and talking to some friends and they said, “Hey, you know that's not the story of our company. Our company you know was formed, but you know we're in dangerous waters and we've got troubled times and how do we become a great company?” And so he wanted to understand were there great companies and what did they do. So, his question that he forms was can a good company become a great company and if so how or is the disease of just being good incurable. And I love that, the disease of just being good. I got into a tangle with the president of a company I worked for one time. He said that - he was a total quality management guy and that's - there's a lot of good things to be said about that, but he said we need to meet the spec, we got to satisfy the customer and that's what we need to do. And I tangled with him and I said, “Hey, I don't want to you know satisfy the customer. I have no interest in satisfying the customer.” What drives me is delighting the customer, exceeding expectations, beating the spec, you know raising the bar all the time because I knew at least the way I look at the world that's what my competitors are doing right. They're out there trying to raise the bar all the time. If I stick to a bar that was written a few years ago you know I could get beat and I want to be a great company. So, this idea of just being good and that that's a disease that is potentially could be incurable rings - it resonates with me. I get juice out of it. So, Collins goes to work on this question and he comes back and he decides there are in fact multiple examples of companies that were just good and they became great. And he uncovered 11 such companies and they all had a hockey stick growth. That is they were kicking along like every other company in their industry right. So, let's imagine an industry with you know three or four major players in it. They've all got access. You know, they're all playing in the same market. They've all got access to the same capital, to the same technology, to the same talent pools, to the same ideas. It's a pretty level playing field for these guys right and you can track them. Jim went to you know their stock prices and their earnings reports and stuff and you can track quarter by quarter how did they do and they were flat with everybody else right whatever modest growth they were seeing. But one of those companies would all of a sudden have a breakout and they would all of a sudden have sudden new sustained growth and there was this inflection point where they went like a hockey stick. The handle is nice and long and all of a sudden boom, the paddle goes up and you're up into a whole new kind of thing. If you're watching the video, I've got just a little simple chart of a hockey stick here and what Jim was trying to understand is what was happening at that inflection point. And he found 11 companies that had this same thing right. They were cruising along with everybody else and then all of a sudden they got better and he wanted to understand what is common to these 11 companies and what changed in that period. So, he went about trying to figure this out. He gathered up all of his research and then he put together a team of Stanford Business students and they started to discuss it. And one of them would offer up a suggestion and then they would you know kind of test it and check that hypothesis if you will. So, for instance you know maybe somebody would suggest hey I found a company, they had a bunch of growth because they did acquisitions right, so then they would pour into their records and they would say did the other 11 companies do a bunch of acquisitions. And the answer would come back, no they didn’t. So, that was not common to all 11 and so he throws that out. He was looking for things that all 11 of them did so they could really understand how good companies became great companies. And what he came up with was three different parts, three different buckets, each one had two parts to it. Okay. And we're going to go through all six of those in a little bit. But then there was also this sort of bigger framework that he had, and the framework was the sort of overall system of how these things work. So let's dig into that real quick. So, in the build-up phase they are - the management team is there, the group is there, but they're not seeing the rewards and the returns yet. They're making decisions. In some cases, they're shedding some businesses and making big changes, but you're not seeing it show up in the income statement yet right. You're not seeing you know above market gains. You're not seeing above average returns. So there's a lot of work that's going on in this build-up phase and then all of a sudden you get this inflection point and there's a breakthrough. All of a sudden they're making progress and headway and it's the result of these other decisions that they've made. All right. Then the other picture here is this idea of a flywheel. So, in a flywheel - a flywheel is a large, usually a big chunk of metal attached to a spinning shaft and as the energy in the motor drives that shaft some of the energy gets stored in that flywheel and it's the - there's lots of reasons to do it. It tends to kind of level load the rotations and it keeps everything running smoothly and evenly, but if you wanted to understand it, if you got this thing going then you could actually take the motor off for a little bit and put a new motor on and the flywheel would have kept all of everything spinning along right. So if you can imagine building an organization that's running the right way then when the president says or the CEO says hey I'm retiring, you slot him out, you slot the new one on, the business still keeps going. It's still working. So, this idea of a buildup and that leads to a breakthrough that starts to generate these above average returns that get plowed back into the business and get reinvested in better systems, more time is spent thinking about the right things to do, you just take those learnings and you apply them again to more breakthroughs and more systems, that's the flywheel that's going. The other way to think about that if that was confusing is we've all seen situations where bad decisions lead to worse decisions, which lead to horrific decisions. That's called the Doom Loop. So, the flywheel go in the other direction, it's called a Doom Loop and it's where just everything comes apart, everything seems to get worse right. You lose good managers. You start losing good people. You start bringing in bad people, making bad decisions who hire worse people and who make worse products and everything goes down so. Anyways, that's the framework that he's got. Now, if you've worked with Steve a little bit as I have or if you've been listening to this podcast for a while, you know that he keeps coming back to this idea of strategy and systems and scale and in my mind these match up really well. This idea of building up the business and you know getting organized in all, for me that's all strategy and if you then have got that sorted out now you start to build the systems that you need and that gets you the breakthrough right because systems are so much more efficient, there's so much - they offer redundancy and accuracy and efficiency, so the systems really start to yield these above average returns. And then scaling is where you know the systems end up running the business and the people end up running the systems, so they're able to take that energy in their free time in those additional resources and start to plow them back into the business making better decisions, hiring better people, making better systems you know and you get this great loop going the right direction. Okay, so that's the framework. Now, let's take a look at the three buckets as I call them. The first one is disciplined people and that's got two parts to it. The first one is level 5 leadership. A level 5 leader is an evolved leader. He or she has grown and come to certain understandings about themselves and about how people work and things like that, and we're going to walk through this in a little bit more depth, but level 5 leadership was common to all 11 companies. Then and this is probably the most famous part of the book is first who then what and the idea here is that choosing the right people and then choosing what you're going to do is the right order to go about these things, so that's disciplined people. The next bucket then is disciplined thought. So, you've got the people, now they're going to start thinking of stuff so discipline thought, there's two parts there. The first one is confronting the brutal facts and the second one is the Hedgehog Concept. Confronting the brutal facts and always keeping faith is important and we'll get into that. The Hedgehog Concept is a little bit more complicated, but essentially Jim Collins tells the story of the fox and the hedgehog and the fox has lots of tricks, lots of clever ways to try to catch his prey, but the hedgehog knows only one thing and that's defense and when you - when a hedgehog senses danger, they just curl up into a ball and put spikes out and that simple strategy works. And with Jim's point in this one is it's important to have a clear understanding of what it is you're going to do and get everybody rallying on that and then stick with it right. It's not as though the Hedgehog can't look and say oh the fox is so clever I should try doing some of that stuff. The hedgehog is the hedgehog. You do what you know and you stick with it. Then the third bucket after disciplined people and disciplined thought is disciplined action right. Now, we've got to put it to work and the two parts there are a culture of discipline, that is doing everything in a disciplined way and then in a judicious way using technology to accelerate the business and that accelerate word is crucial. I always focus on the technology part because I'm a software guy, but really the key thing here is that you use technology to accelerate the systems and stuff that you've already got in place. All right, that gets us to the break. Let's take a couple minutes here to hear from sponsors and we'll pick it up there when we're done. Michael: All right, we're back. This is Michael Pinkowski. 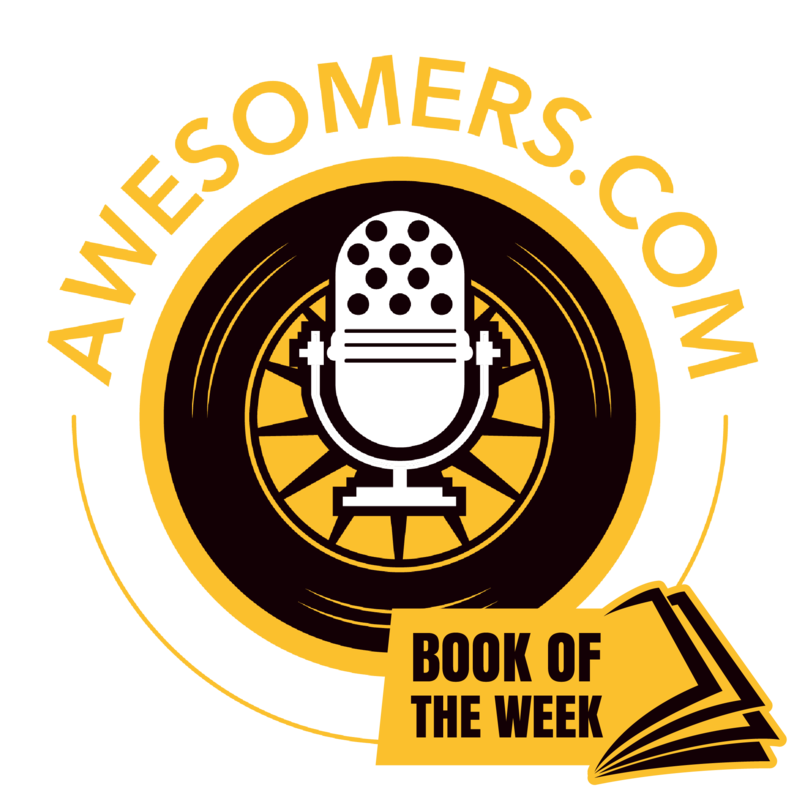 We're Awesomers.com and we're doing Book of the Week and this week the book is Good to Great. We've talked about the framework and the buckets of disciplined people, disciplined thought and disciplined action. And I thought I'd come back and give you kind of just a quick summary of each of those, but my real goal here is to kind of whet your appetite to come in and listen to the book or read it and hear the great stories that Jim Collins has put in here. There really are a lot of great examples of these companies doing real stuff and I meant to mention earlier and I didn't, one of the reasons I like this book is it's real stuff. You know, the books about you know Who Moved My Cheese and The One Minute Manager and you know Get the Monkey Off My Back and Patrick Lencioni 's books about - Death by Meeting and things like that. Those a great parables I call. There's a lot of good lessons to be learned there, but Good to Great is unique - not unique, but it's of a different genre and what they do is they focus on real research. They focus on you know real facts. They let the facts drive the story and there's a place for that, too. There's a place for this sort of data-driven results and that's one of the things I like best about it. So, let's dive in to all six of these and then - but then remember there are these stories and examples and a lot of data that support each and every one of these and that's why you should get into the book yourself and not just rely on my explanation. All right. So first up is level 5 leadership and here's his quick summary. He says that level 5 leaders are self-effacing, quiet, reserved even shy. These leaders are a paradoxical blend of personal humility and professional will. They're more like Lincoln and Socrates than Patton or Caesar. So, he does these stories about these guys that still live you know in a modest home and they drive a pickup truck to work. They are not on the front pages of papers when he would interview them and say you know how did you do this and they would just say well we don't know, we just came to work every day and kind of did our thing. It wasn't - one guy says it wasn't space science, so they don't recognize that they did something all that amazing when in reality they did. But they believed that it was the team that did it and that they just kind of stuck to their stuff. Make no mistake they are driven people. They have a personal humility, but they have a professional will, a will to win, a will to succeed, a will to grow their business. They are - there's an athleticism to their work that they put out. So, level 5 leaders are you know not the fancy racy guys that make the papers and you know throw the huge parties. These are everyday people that just buckle down and get the job done. All right. Next up then is perhaps the most famous part as I said its first two and then what, and it's famous for this. First, you got to get the right people on the bus then you got to get the wrong people off the bus and then you got to get the right people into the right seats. And I've got a little bonus episode at the end that’s going to give you a little bit of an example of that. So, once you do all that then you figure out the where do you want to drive it or the what business do you want to pursue or what things do you want to do. So, getting the right people on the bus is crucial and when you're in a young fast-growing company it's so easy to you know hire the wrong people just because you know them and they kind of showed up at the right time or whatever, but getting the right people is really really important. If you could find a way to try people out for a little while and then hire them that's great and in our business we've been looking for developers and I've just kind of kept looking for small projects that I could give to people to kind of see what they were all about because I didn't want to hire a team sight unseen. I would rather try out a dozen different teams and pick the one that feels like they're right. Get the wrong people off the bus. This has been a tough thing for me. A couple of times in my career there have been people that just weren't the right people. It wasn't a good fit. They weren't going to be happy. I wasn't going to be happy and there's no sense being unhappy. So, you got to get the wrong people off of the bus, but even then you get to a place where you've got the right people, but you’ve got to get them into the right seats, so think creatively here. Think about the woman that's you know in accounting, but she's got what it takes to be that ops manager that you're looking for. Think about the guy that you got running marketing that maybe would be perfect for product development. Get the right people into the right seats. Okay, absolutely crucial. And then call a meeting and bring them all together and figure out where you want to go. Okay. So in this stage of disciplined people, we're just talking about getting the people together. We're going to talk about thought and we're going to talk about action in a little bit, next really, but this right now is get the right people together and be a level 5 leader. All right. Let's swing into the second bucket. We're into disciplined thought and the goal is to confront the brutal facts, but Jim Collins always adds this, he says yet never lose faith. All right. And that is because there will be times where you will think that there's no way out and what you need to do is develop a faith and a confidence in yourself and in your team that you can in fact find a way through these challenges so confront the brutal facts yet never lose faith. And the example that he uses is Stockdale, General Stockdale I believe was a prisoner of war and he exemplified this idea of having to deal with the brutal facts of being a prisoner of war, of being tortured, of seeing his men abused and still keeping faith that he and his men would one day be rescued and be freed, that's the challenge right. You've got to find that kind of optimism within yourself and within your organization that these problems will happen and you can get through it. Just on a side note, a personal thing, I watched the movie Wag the Dog one time and it's a story of these guys trying to distract the press from some bad news with the President and the whole thing, the distraction that they're trying to build keeps having problems and they've got a Hollywood producer that's running it. But at one point something really bad happens and the producer guy turns and he says this, this is nothing. Once, we had to film The Four Horsemen of the Apocalypse with just three horses. This is nothing. I love using that phrase in the office right. When people get all panicked about something, I love telling them hey listen we've seen worse than this. We've had bigger problems. We can solve this. We got this. All right. All right, so confront the brutal facts. You must maintain unwavering faith that you can and will prevail in the end regardless of the difficulties and at the same time have the discipline to confront the most brutal facts of your current reality whatever they might be. Okay. So, disciplined thought, confront the brutal facts and then there's this idea of the hedgehog and again the fox has lots of tricky things that he knows, the hedgehog only knows one and in the end the fox cannot defeat the hedgehog because it sticks to its thing so well. All right. If you cannot be the best in the world at your core business then your core business absolutely cannot form the basis of a great company. You'll have to replace it with something from the center of these three circles, the circle of what are you passionate about, what drives your economic engine and what can you be the best in the world at. Somebody once said you know what are you looking for, what do you want to do. And the answer was well I just want to do what makes me happy. And the reply was well who's going to pay you to drink beer and watch stock car races, so that fails the drives economic engine part of that equation. Okay? So, in the Hedgehog Concept you find something that you are passionate about that drives your economic engine and you can be the best in the world at and you stick to that. There's an example in the book and again there's so many good examples of all of these points, but I like this one where he was talking about Wells Fargo trying to be as good as Citigroup and Citigroup was huge internationally and so that just sort of told Wells Fargo well we've got to go international. And they opened up a bunch of branches and they totally failed and they finally woke up one day and they realized we can't you know be great internationally. We cannot be the best in the world at international banking, that's just not you know what's going to happen for us. And they decided - the phrase was you can make more money in Modesto than you can in Tokyo and in fact that's what they did, they decided to be the best at business banking in the western United States and they stuck to that and they - you know, it was very hard for Citicorp to compete with them in that area where they'd set themselves up. So, choosing to be the best in the world and then sticking with it is absolutely crucial. All right. The last bucket then is disciplined action and we're going to start with a culture of discipline. And it starts with having disciplined people and you don't need a hierarchy. You have disciplined thought, you don't need a bureaucracy. When you have disciplined action, you don't need excessive controls. And when you combine all of that of discipline and can find a way to inject an ethic of entrepreneurship, you get great performance. So, a lot of this is pretty obvious right. If you've got disciplined people, you don't need as many managers right. You don't need managers of managers. When you've got disciplined thought, you don't need a bureaucracy to kind of check everybody's thinking or to you know constantly update you know plans and everything because everybody knows what the plan is and they're all updating it themselves all the time. And when you have disciplined action you don't need huge controls because people understand how things are measured and what matters and they're making the right contributions there, but even that just gets you a well running machine. If you really want to make it great, you inject this ethic of entrepreneurship right. You give everybody a reason to say hey we're going to change the world. We're going to take this motor and we're going to go do great things. We're going to you know actually be a force you know for good. That makes a huge difference. And then the other part of discipline is a great big list of stuff that you are not going to do. All right. A don't do list is what he calls it and that's super important right. You're just going to say we're not going to you know evaluate international business every year right. If you've decided you're going to totally focus on your local market, you stick to that and you don't get distracted by the other opportunities that are out there because you can waste so much time and energy. Be a hedgehog. Focus on the thing that you are great at and stick with it. Have the discipline to stick with that. And then lastly, in this disciplined action is the idea of technology accelerators. Good do great companies think differently about the role of technology. They never use technology as the primary means of igniting a transformation. Paradoxically, they are pioneers in the application of carefully selected technologies. So, technology by itself was never the primary root cause of greatness in any of these companies. So they didn't get caught up - all of this was written during the dot-com boom. So they didn't get caught up in you know all of the crazy ideas that were out there. What they said was what business are we competing in, what systems have we got, where can we apply technology to you know to do our job better, to be better hedgehogs if you will. How can technology help us and in some cases that meant ignoring a bunch of things that their competitors were doing and in other cases it meant pioneering some technologies to better do what they were doing. So, again, as an executive in a software company I really wanted to hear that technology was awesome, but the key thing here is technology matters when it's properly applied and fits with everything else that you're doing. It is not the primary cause of greatness, so you’ve got to keep that in mind. Think of it always as an accelerator. Think of it always as this is going to take a part of our business and accelerate it. Don't buy it just because it’s technology. All right. Well, I hope you're hungry for more. Again, the book has got great examples. It's not a hard read. The first chapter, he walks through his methodology. That first half hour or so is always a little bit dry, but not bad and then you get into these stories and examples and you're going to meet so many great leaders and great companies and examples of stuff. I find lots of inspirational stories in Good to Great and I strongly encourage you to look into it. I want to end this part of it with an idea that Jim Collins puts where he really wants you to take the book and put it to work. He says that the idea that good is the enemy of great is not just a business problem. It is a human problem. It's a part of the human condition. And he says the he hopes that they have cracked the code on the question of Good to Great and that then you can use this information to have to create something of value for any type of organization and you can have good schools that can become great schools and you can have good newspapers that become great newspapers and good churches that become great churches. So there's lessons in here that you can take to the rest of your life and make it awesome. All right. Lastly, I promised you a bonus round and if you remember the first two and then what part of the book that we talked about getting the right people into the right seats, there's no better example of that in my mind than the story in The Boys in the Boat. It's the story of the University of Washington crew team. They pick up the story in 1933 so absolutely in the teeth of the Great Depression and it's the story of this crew team at UW and how they go on to become national champions and that qualifies them for the Olympics and they go on to the Berlin Olympics in 1936. It's an outstanding book. It's a great sense of - you get a great sense of history, a great sense of life in the great Pacific Northwest, but it's also the story of how do you get these nine people, the eight crew rowers and then the coxswain, how do you get these guys you know into a winning team. And you know if you told me to staff a boat I would have looked for the you know the smallest guy I could find to put in as the coxswain and the eight biggest and strongest guys to put in the boat and I would have just put him in the boat. I don't know, maybe in alphabetical order or something, but there's a part in the book where he walks you through the level of detail about every one of those eight seats has a different job. And you know when you watch them work they are all rowing in perfect unison. There is no difference in what they're doing to the visible eye yet under the invisibly I guess is the way to put it, everybody has got a different job in that boat and the way that he explains it and the way that the chemistry comes together is extraordinary. And it's my favorite non-business business book. I just see so many business lessons in The Boys in the Boat and I highly highly recommend it to you. All right. This has been Awesomers.com Episode 46 Book of the Week. We did Good to Great by Jim Collins. I want to thank you for listening and I hope that we get a chance to talk again soon. Steve: Ahhh, the sultry and silky tones of Michael Pinkowski. You could see why Michael is such a great teacher and presenter and leader. He really understands not just the lessons of the book, but he can break it down for us and he can do it in such a way that makes it easy to understand, easy to listen to. For the audio listeners, you are going to have you know a great experience listening to that calm and you know very intellectual voice. He's so smart and such a good presenter and of course when the video version of this is released, you're going to have a beautiful presentation where you're going to be able to see all kinds of other details. So, to stay in the loop on when those things are happening, the release of the video version for example or the show notes or any other links that may be relevant for this particular episode, just go to Awesomers.com/46. And finally, I hope that you really enjoyed this episode with my very special guest, a good friend and partner Michael Pinkowski. Michael is the president of Parsimony.com and you can go check that out and get a little look at the project that he is working on. But I've really enjoyed this episode and I know that you will too and I hope you'll just take a minute to get out there and leave a review and leave some feedback and share that, let Michael know what a great job he did. It was a great pleasure to have him on board today and I know that we'll have them back again in the future.